The best part about being a bartender in NYC is the leniency in its alcoholic laws. Alcohol cannot be consumed only from 4:00 am to 8:00 am in some states and the rest of the day is all yours to visit any pub or bar you want. All you have to do is get the required training with the help of Local Bartending School (LBS) and give the exam to get the certificate. 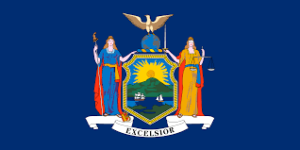 Some famous cities of New York City are Albany, Buffalo, Syracuse and Rochester and there are 56 more. The courses may be taken in-class, in-person or online. LBS provides all these types of courses and its certification is valid throughout New York. New York Division of Alcoholic Beverage Control, State Liquor Authority handles all the certification and permits for the alcohol related issues. Each Licensing Bureau statewide receives, examines and investigates license and permit applications within its Zone to ensure they meet the eligibility requirements of the State Liquor Authority as provided for in the ABC Law and Rules. LBS is an accredited institution that can give you the required training to pass the examination and apply for the certificate. You can visit http://www.sla.ny.gov/ for further details. 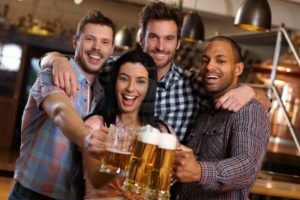 The course covers topics such as spotting someone who has had too much to drink, to check IDs properly and the liabilities and responsibilities of the bartender. You can attend in-class, in-person or online courses whatever suits you best. The acceptable forms of identification cards are Valid New York State driver's license or non-driver identification card or a valid driver's license or non-driver identification card from any other US state, territory, or possession or Canada, valid United States military identification, valid passport or visa from the United States government or any other country. Bartending course will enable you to identify these cards if they are authentic and then serve the customer. 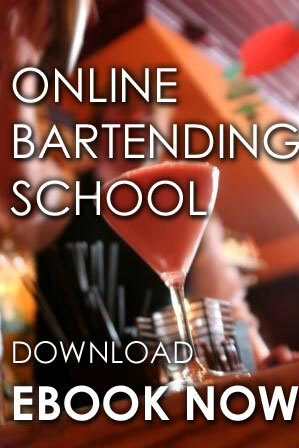 You can also take on premise or off-premise courses for bartending. On-premise serving course can be taken if you are working at a bar or restaurant. The off-premise responsible serving course can be taken if you are working in a convenience store, liquor store, or other off-premises sales business. Is New York City a Good City to Bartend in? Who doesn't know about New York City? It is the city never sleeps so, of course, bars are what keep the people entertained all night. It is the most populous city in the United States of America. It is one of the most important cities in the whole world due to its political and ethnic importance. New York City consists of five boroughs, each of which is a state county. The five boroughs, The Bronx, Brooklyn, Manhattan, Queens, and Staten Island are consolidated into a single city. 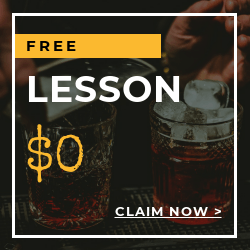 Click here to start a course to become a licensed bartender in New York. Bartending is a very interesting job because it involves all the guilty pleasures a person can have. On the other side, it is a very serious and responsible job on the behalf of bartender because he has to tend to people who come in for drinks or to enjoy the bar. .